Death is not an easy topic to talk about in the family. The reality is that not many are prepared for the final moments, especially if it comes unexpected. We had recently experienced such loss. Finding information of what to do during this period can be challenging. Information are either limited or located in various websites. 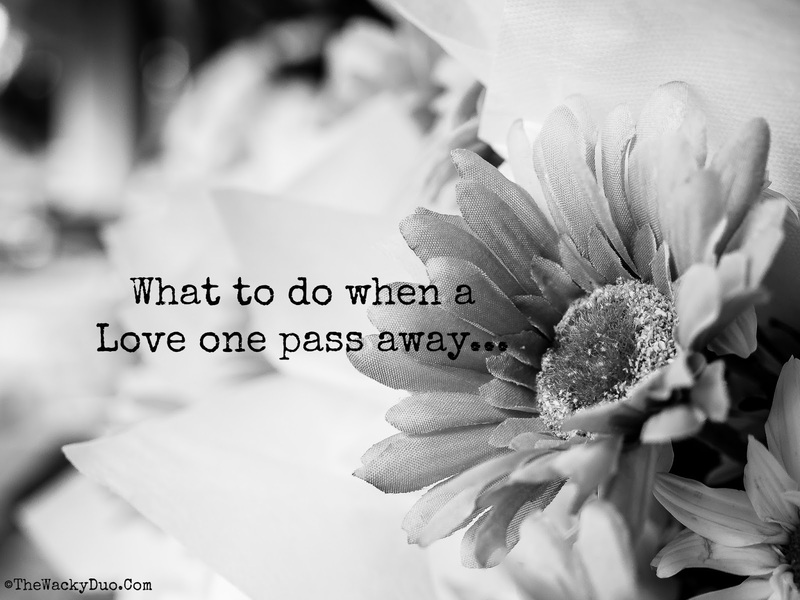 We thought this post will assist you in getting the relevant information you need during this period of grief. The post will be divided into 3 different sections - Pre Death Preparation, Death -Immediate Procedures and Post Death Matters. Making a Will would be a good option for most. It will determine how you can distribute your assets after death according to your intentions. Moreover it will speed up the distribution process from more than half a year to a few months. Lastly it gives assurance that minors such as your own children access to the necessary funds when needed instead of waiting till turning to the legal age at 18. CPF, Joint Properties, Insurance with nominees and Joint accounts are not affected by the will. However other assets such as single name properties, bank accounts and insurance without nomination can be included. If a Will is not made, assets can take more than 6 months after death to be distributed via Intestate Sucession Act. Wills can be done in most law firms in Singapore for a nominal fee. The actual cost will depend on the complexity of the will. More on Wills can be found here and here. As CPF is not covered under Will, you would need to make a nomination for distribution. If no nomination is made, it will be done under the Interstate Succession Act. Do note if you have minors (below age 18), CPF will not release the funds to them till they reach 18. Funds will be held with the public administrator. More information on CPF Nomination here. It is important to let a family member know what financial assets ( banks deposits / insurance / shares) you are holding and whom they are with. In addition, do let them know about your liabilities as well ( loans / property tax / credit card). These will help the family members to do the necessary (such as pay up loan) in order to ensure that financial matters are taken care of. In addition, it will help them to locate the assets for distribution upon death. During the latter stages where death is inevitable, it would be time to search for a funeral director. It would be good if this task is taken care of by the spouse to allow the affected party to grieve. The full list of Funeral Directors can be found here. For reviews of Funeral Directors, this list might be useful. The funeral director will advise you on what to do upon death. Depending on the location of death, there are different steps to take. It may sound premature to discuss location of wake prior to death. Nonetheless to resolve it prior to death would significantly reduced the stress thereafter. There are families that prefer to hold the wake at home ( public housing and private estate). There are also families who prefer to hold it somewhere more convenient. For the latter option, it would be best to choose a few locations in case it becomes unavailable upon death as it is on a first come first serve basis. The outfit need to be handed over to the funeral director upon the collection of the body to prepare for the wake. Thus preparation beforehand is recommended. For unnatural death and autospy, the doctor will refer theses to the police. Body will be send to Mortuary@HSA (Block 9 SGH) in a police hearse. The Next of Kin would also need to decide on burial or cremation. This will be informed to the Funeral Director. Burial and Cremation information and process can be found here. For more information, refer to eCitizen Site. If the wake is to be held at another place other than home, do make a call first to book the site. Once that is done, you can contact your funeral director to liaise with the parlour. If the parlour belongs to the funeral director, you just need to make one call. For wake to be held at HDB Void Decks, do make a booking with the respective town council as it is on a first come first serve basis. For wake to be held at Private Estate with closure of roads, you need a permit from LTA. The Funeral Director would be able to assist you on this. Different religion have different customs for wake. Thus it would be best to discuss with the elders or the religious orders on the appropriate wake arrangements. The Funeral Director will advise on the collection of body from the decease location. Depending on the location , there are different procedures to follow. The Funeral Director will be preparing the body for the wake. If death occurs late in the afternoon, the wake may start the next day due to place availability and time to prepare the body. After the funeral, the next of kin would need to handle post death matters. To start off , you would need the following documents to handle post death matters in Singapore. The first task is to book a niche if the body is not buried. you can book a private niche from place of worship or a public niche. You can book the niche online. Insurance Companies : For claims via nominees. Car Insurance : To notify car insurance of the decease status. Insurance will be renewed under estate if necessary. Any other subscription : To cancel or transfer them especially if they are autorenew or on GIRO through decease account. Property Tax : To transfer is necessary. Regardless of a Will in place or otherwise, you will need to engage a Lawyer to execute the estate. For assets less than 50000, a Public Trustee can be engaged. For amounts larger than that, you need to hire a lawyer to appoint an administrator for probate. Probate process can take weeks if will is in place or even years if there is no will in place and disputes are made. Last but not least, ensure a system of Family Support for the surviving family. In cases where there are only minors or aged, do have an arrangement to take care of them. It may be necessary to house them with a relative and these should be discussed among the family to ensure a smooth transition. Family support is very important especially if the deceased is the sole breadwinner. If you are here as a result of the passing of a love one, our condolence to you and your family. We sincerely hope the information provided here will be useful to you during this period of grief. Sorry for your loss.. deep condolences to you and your family.